Making a move and not sure who to go to for help in (or around) Haymarket, VA? If not our pros then you may be forced to settle for the other “guys” when it comes to excellence in relocation, packing, and storage services. For local or long distance moving, you can come to us and feel assured by our professionally trained moving techs, relocation counselors and packaging pros. We provide our vast array of services to the whole of Haymarket and Prince William County, Virginia. Whether you’re moving furniture across the street or all your belongings across America, our pro movers in Haymarket are here to assist in the planning and execution of your move. We boldly proclaim that we are the best in Haymarket and we back it up by our high standards. We have gained the appreciation of Haymarket residents and small business owners who trust we can handle all their moving needs. Whether you are making your move in Haymarket or neighboring communities, know that you can depend on us for efficient, comprehensive, and yet affordable service. If you are in need of storage solutions, we are the answer. We have secure, temperature-controlled facilities where your belongings are kept safe-guarded until you say so. Need even more space? We’ll gladly set you up in one of the many local area storage facilities such as those at 6600 James Madison Hwy, Haymarket, VA 20169, 15161 Washington St, Haymarket, VA 20169 or 5574 Tucson Ct, Haymarket, VA 20169. (There are others as well; call us for info.) Whatever your storage needs may be, you can rely on us to meet them at a reasonable price. Whether you reside in Prince William County or anywhere in VA, you can trust our professional moving and packing services. Call us today or send an email and you’ll see why we are the ones to beat in the 20168 and 20169 zip codes! We can do it all: We’ll do the packing, and the moving, and the storage — we’ll even sell you boxes and packing tape. Or we can do just a little. Prefer to do the packing yourself? Call us in when the antiques are wrapped, and let Craig Van Lines do the heavy lifting. Or when you’ve found yourself in need of a place to stash all your stuff until closing day, give us a call. We are proud members of the Better Business Bureau and we have an A + rating. With our attention to detail combined with our willingness to understand the unique specifics of your moving needs, we ensure that your move to or from Haymarket is a pleasurable experience. Absolutely great service. Friendly and professional staff, very accommodating. Would absolutely recommend Craig Van Lines to everyone. Professional, friendly, accommodating, and their price quote was right on target. Couldn’t have been happier with our entire moving experience. Thank you for taking the time to post a review. We are pleased that you were happy with the services we provided to you and appreciate any recommendations you are willing to provide. Our daughter used Craig 2 years ago when she moved from Haymarket, VA to Charleston. They were great then and great when we used them again for our move to Amelia Island, FL. Everyone showed up exactly when they said and the crews for packing, loading and unloading were exceptional. Everyone was extremely proficient at their tasks and moved quickly and professionally. 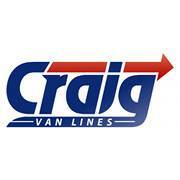 Highly recommend Craig. Thank you for taking the time to complete a review of our company. We are happy to hear that your daughter's experience with our company led you to give us a try and that we did not disappoint you. Thank you also for offering to recommend our company as that is the highest level of compliment we could hope to receive. Enjoy the warm weather in Florida! We are happy to hear that you were pleased with the services we provided. Thank you for taking time to complete a review of our company. Fourth time we used Craig Van Lines. Great service, and price. Quality and friendly team. Would use no one else, period! Thank you Dave, Juan & Felix!